Recent podcast where Chumby’s CEO talks about what the heck a chumby is and what’s the whole point. As mentioned many times before in this blog, we feel that one of the chumby’s great features is its ability to get even better over time. We love to reward our chumby buyers by continually enhancing the features and content on the product they already own — and not the new one they’ll need to buy. While you were sleeping last night we turned your chumby into a Deadhead radio. With a couple of taps on the chumby’s touchscreen, you’re listening to Uncle John’s Band, Dark Star, my favorite, Dire Wolf, or whatever else delights your tie-died heart. 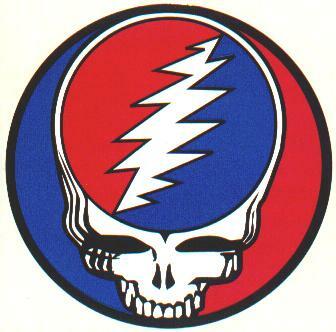 Grateful Dead Radio is listed at #5 on Radio Free Chumby. I’m in heaven. But, for those of you who can not live on Jerry alone, there are of course lots of other choices — 10s of thousands of choices. I wake up to my chumby playing my favorite classical station, WQXR. When I’m at the Chumby office, I listen on my chumby at work to something I can’t tell you about yet — but will be able to soon :^) When I’m home at night doing the dinner dishes, the only thing that gets me through is Radio Paradise’s crazy-cool mix on the chumby on the ledge above my sink. But, lying in bed and night, with chumby streaming Grateful Dead Radio…like I said, heaven.